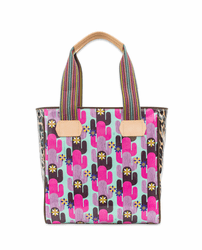 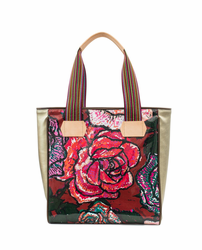 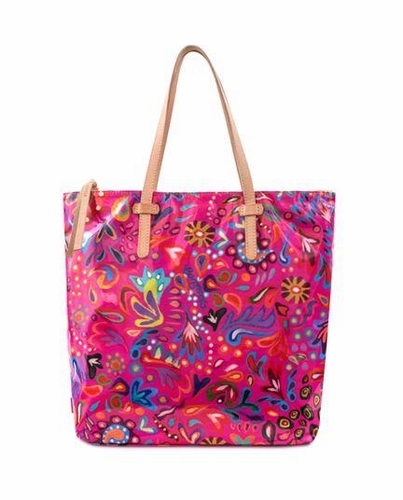 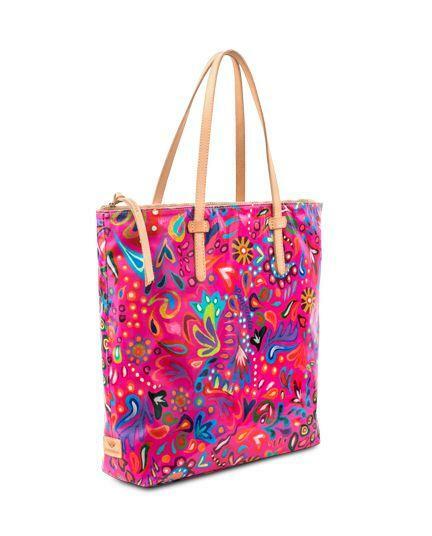 Consuela's Market Tote in Pink Swirly ConsuelaCloth™ print is trimmed in natural leather and features a full-sized zip compartment along the back for valuables... or even your 17” laptop or tablet. Connect the inside lanyard to keys or a pouch for an easy grab. 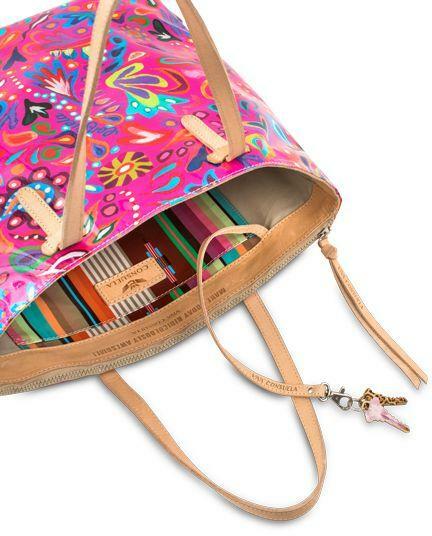 The interior is lined in neutral canvas and highlighted by our Rusty slide pocket. 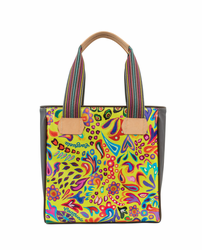 MAKE TODAY RIDICULOUSLY AWESOME!